Corporal Eric T. Caldwell of Salisbury, Md., spent part of his childhood in Salisbury but went to high school in Gloucester, Virginia. He grew up with his twin sister and grandparents in Ellicott City, before moving briefly to Florida, then to Maryland's Eastern Shore. In high school, the twins moved to Gloucester, Va., to be with their mother. In 2003. 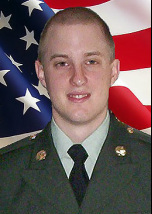 Eric joined the Maryland National Guard in June 2003 and was assigned to the 121st Combat Engineer Battalion in Prince Frederick before enlisting in the Army in early 2005, his uncle said. He attended Gloucester High School near the Tidewater area of Virginia and schools in Marco Island, Fla., after attending Pinehurst Elementary School in Salisbury. 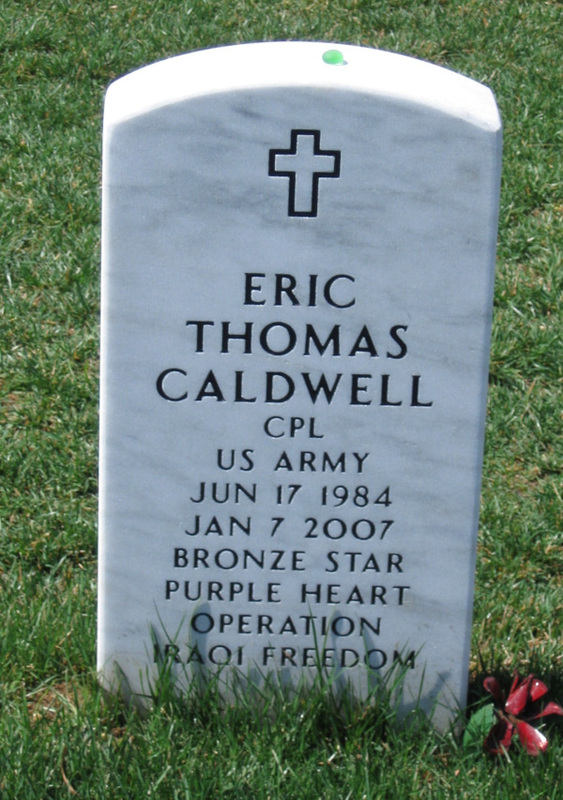 As a youngster, Caldwell was a member of Boy Scout Troop 185 at St. Francis de Sales Catholic Church in Salisbury. Growing up, Eric had heard military stories from his grandfather, Melvin Caldwell Sr., a World War II veteran who served in the Pacific theater in a B-25 bomber. He spent more than a year trying to become a soldier. Eric had a learning disability, but he spent two months studying to earn his graduate equivalency diploma and a few months more studying to pass written tests to enlist in the military. He was 22.